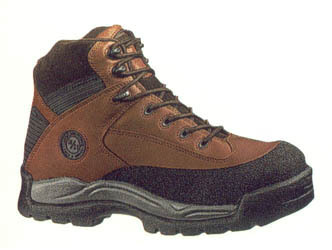 BOOT: NUBUCK LEATHER WOLVERINE PERFORMANCE LEATHER UPPER. CEMENT CONSTRUCTION. COMPRESSION MOLDED EVA FOOTBED. WOLVERINE RUBBER OUTSOLE. OK MESH LINING. FIBERGLASS SHANK.